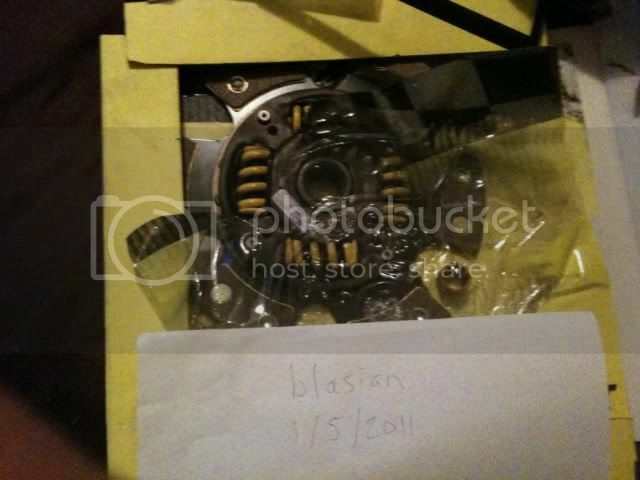 I'm selling a near complete ACT 6 puck sprung clutch kit (disc, pilot bearing, and throw out bearing). The only thing you need is the pressure plate. There is nothing wrong with any of the parts, none of them have been installed. They were only taken out of the packaging by the shop so I could not return any of it. what happen to the PP? I was replacing everything but the PP because I already had the ACT kit. Found out the clutch disc wore into the flywheel and PP when I only ordered the parts I have listed so ended up ordering a new clutch kit and flywheel and couldn't return these parts because the shop opened them. I've had these parts for two years just sitting in my room, never installed. Just need to get rid of them. Great kit that I've priced going in the 600-700 range. Just need a PP which are in the 350-400 range from what I've seen. Wish I would have seen this, ordered one a week ago. Bump. wonder if this will work with a comp flywheel and pp? Honestly, I have no idea. I'm sure it would with the flywheel. I've had both the ACT and CC flywheel and they looked pretty similar.